With the housing market rebounding, now is the time to invest in your most valuable asset. It is worth noting that certain renovation projects will bring a larger return on investment yet most projects will not provide a 100% return. 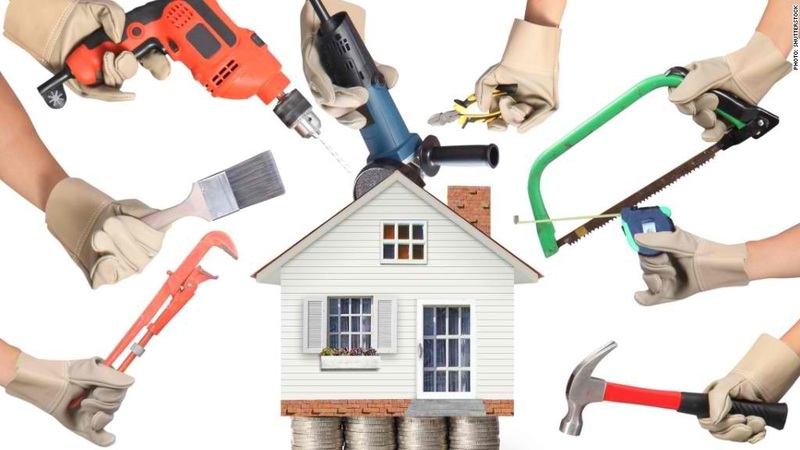 This means that while you are adding equity to your property, you may not necessarily recoup all of the money spent renovating it. There are many reasons for this but it comes down to the fact that buyers are considering the whole package and not just one particular aspect. That being said, here are projects that are worth the investment. These figures are based upon a report by Remodeling Magazine and are based upon national averages. In certain regions, different remodels may be worth more or less but this is a good indicator overall. The Front door is the gateway to your home. Buyers typically make a decision within minutes of seeing a house and the entryway can have a huge effect on that decision. By upgrading your front door, you can have a whopping return of 96.6%. This is the most return of any updates available. With an 87.4% return, adding a wood deck is a great way to add value to your home. Many potential buyers are looking for spaces that can be used to entertain guests as well as outside spaces that they can enjoy. A deck accomplishes both of these desires. Updating your siding can have up to an 87% return. Buyers typically want a house that does not have major issues and siding can be a significant problem if it needs replaced. In addition to the practical benefit, siding now comes in a variety of colors so it can add a bit of flair to your home. One of the best renovations you can do to your home is to add an extra bedroom. This is because it opens up your target market and widens the appeal. One of the most popular places to do this is in a walk-up attic since it is already a framed part of the home. It can have an 84.3% return. This may seem like a trivial component but garages can have a significant impact on the appearance of a house. A new, inviting door can work wonders on improving the overall feel of your property. A new garage door can have an 83.7% return. Minor kitchen remodels such as appliance upgrades, addition of extra lighting and adding storage can have an 82% return. If you decide to make major renovations, you can expect a 74.2% return. Upgrading the bathroom is always a good idea. Buyers do not want a bathroom that is old, dirty or outdated. Like the kitchen, as long as you do not go overboard with the renovation, this can have a solid return on investment. Most bathroom remodels generate a 72.5% return. If you want to go even further and add a new bathroom, it will have a 60% return. While this is not a list of every possible renovation you can perform, these are the ones that offer the best returns on investment. If you plan on selling your home in the near future, focusing on these projects can have a huge impact on how fast your home sells and for how much!